Upon request, the Society has free posters for educational use and can also assist in locating speakers for classroom or other presentations. The MAS also distributes the annual Wrench, Hamilton, and Lubensky Research Scholarship. Project Archaeology uses archaeological inquiry to foster understanding of past and present cultures, improve social studies and science education, and enhance citizenship education to help preserve our archaeological legacy. 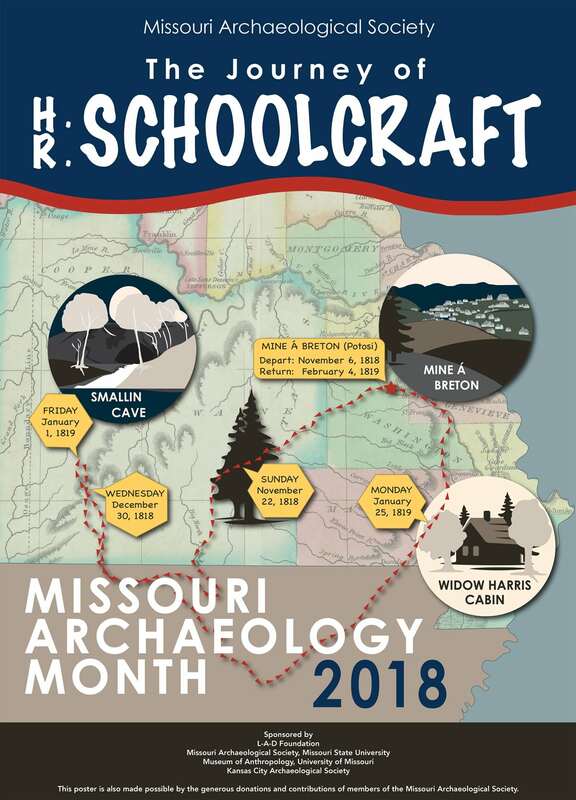 The Society annually produces a thematic poster in honor of Missouri Archaeology Month. Single or bulk quantities of some years are available for use in classrooms or other group meetings. Note that if you reside in a state other than Missouri, you must send $3.50 for postage, materials, and handling. Request a free poster(s). The Missouri Archaeological Society Wrench, Hamilton, and Lubensky Scholarship is available to undergraduate or graduate students at any Missouri university or college. The award is $1,000 annually ($500 each semester).In return, the recipient works with a mentor to implement a year-long archaeological research project and write an article about the project for the MAS Quarterly.